Another 3 weeks and it will be Easter ! It's time for me to disclose my selection of chocolate eggs for 2015. 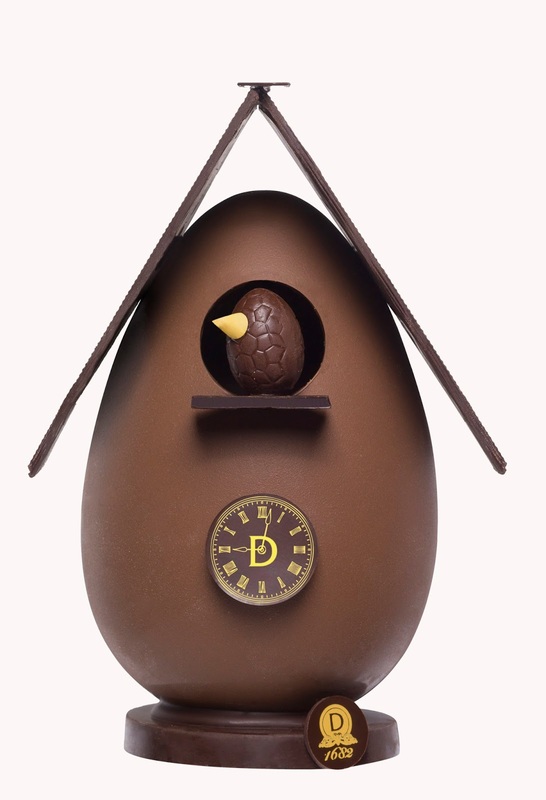 Let's start with Dalloyau and this lovely cuckoo clock. 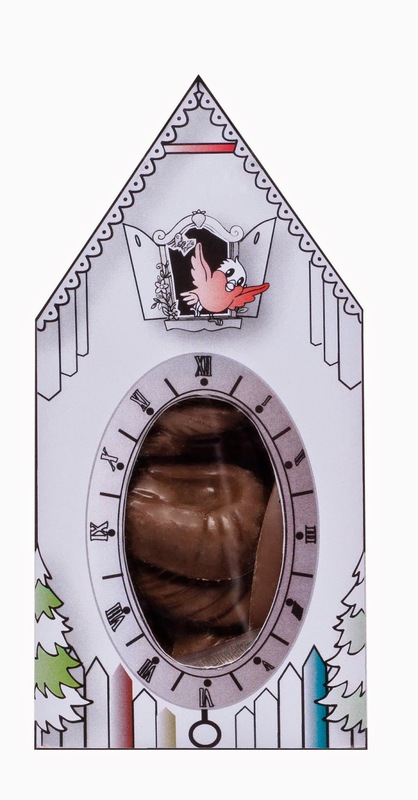 It's made out of Madagascar chocolate and it's filled with small chocolate in the shape of fish, very typical in France: we call it: "frying". 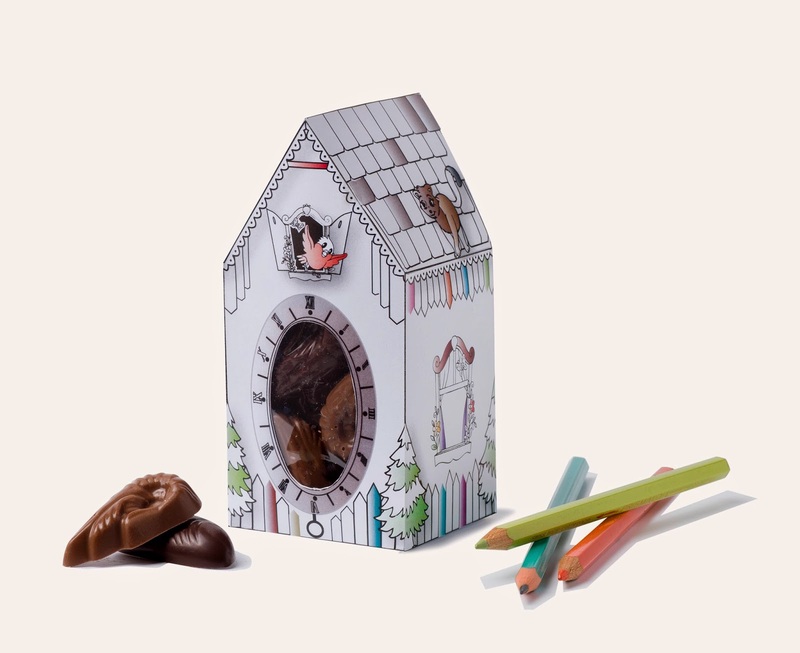 But this year, my favorite creation by Dalloyau is the "cuckoo box" filled with delicious chocolate and delivered with colour pencils to colour in the "cuckoo box". It's lovely and fun for young children.